Medium Point: Black Easy-Glide System Ink. Grip Color: Choose from the selection shown. 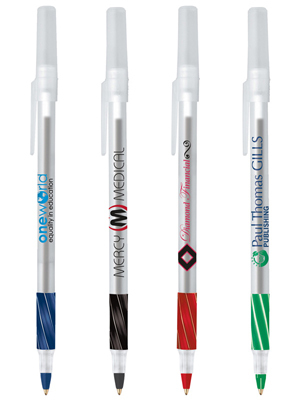 All pens include a frosted clear barrel and trim with black ink.